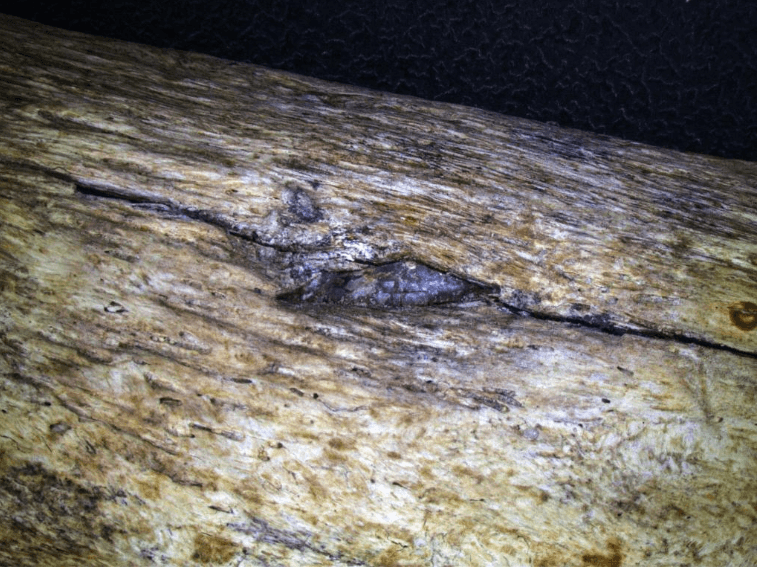 A close-up of the mammoth rib embedded with a Paleolithic flint fragment. 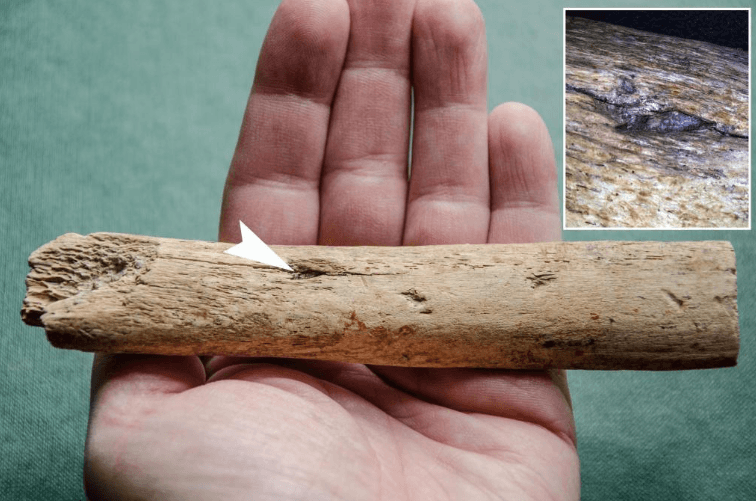 Aflint fragment from an early human weapon was discovered in a 25,000-year-old mammoth rib in southern Poland last week, further proving that humans hunted and were perhaps partly responsible for the extinction of the woolly mammoth. Among the remains of at least 110 mammoths (gargantuan creatures that reached three meters tall and weighed some six tons), archaeologists uncovered a rib embedded with a flint arrowhead. In fact, several hundred fragments of flint blades, nearly all broken at the tip, were discovered amongst the mammoth skeletons. The site was initially discovered by accident in 1967 and researchers have pillaged the area intermittently since. 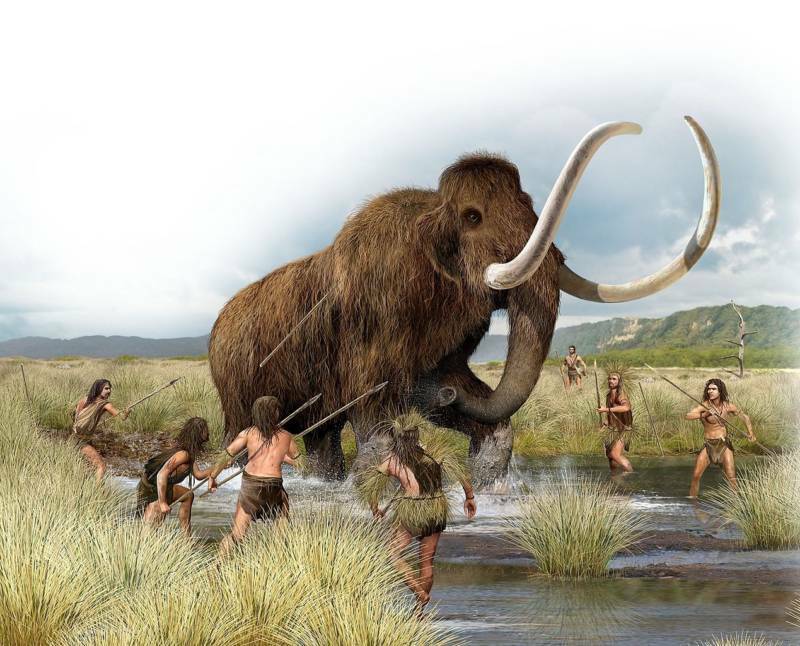 It is believed that the area was once perhaps perfect for mammoth hunting as the animals could be trapped and ambushed therein. 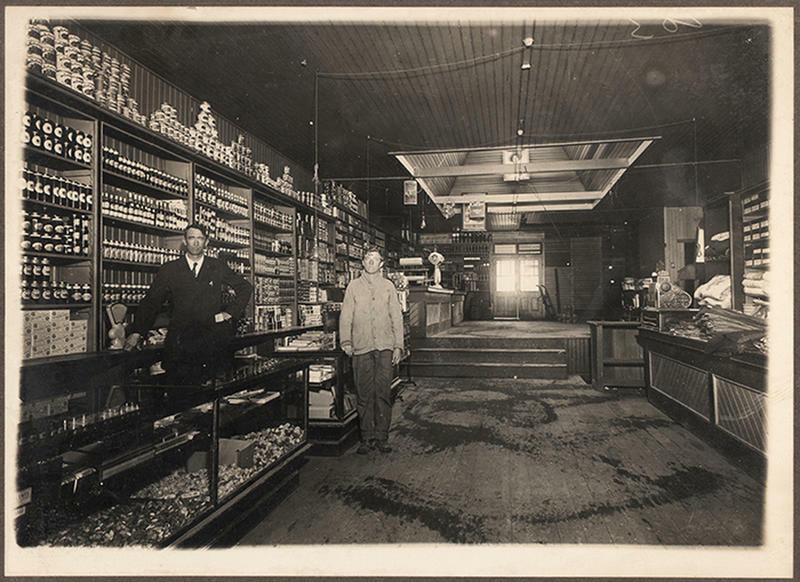 The location where the mammoth rib was pierced. Researchers previously thought Paleolithic humans chased the gigantic creatures towards cliffs from which they would fall to their deaths in order to kill them, but this evidence suggests a more offensive approach. Additionally, there were hundreds of various flint tools used to process skins and meat found among the bones. “We finally have a ‘smoking gun,’ the first direct evidence of how these animals were hunted,” Wojtalreported. However, at least two other cases of similar such discoveries in 2012 and 2017 suggest that this discovery is not quite exactly the first of its kind. 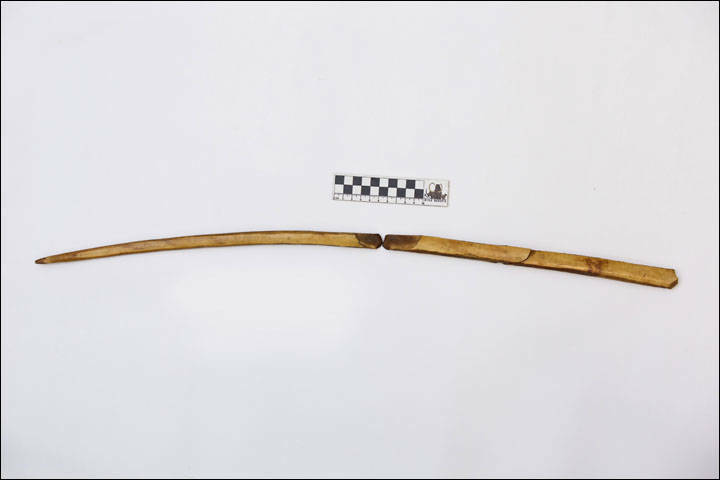 A 28,500-year-old spear outfitted with mammoth tusk believed to be used to hunt the animal. In 2012, evidence of a well-preserved mammoth carcass found off the coast of Yenisei Bay (about 1243 miles south of the North Pole) showed that the animal had been attacked and killed by spear-wielding humans. Researchers dubbed the find “a rare case for unequivocal evidence for clear human involvement” in the death and damage dealt to populations of ancient mammoth. Further discoveries in following years showed that not only did humans hunt and kill mammoths — but they also did so using weapons fashioned from the animals’ own tusks.